North Carolina is a state on the east coast of the US. It's nicknames are Old North State and Tar Heel State. It's mottos are: Esse quam videri which means To be, rather than to seem, and First in Flight. 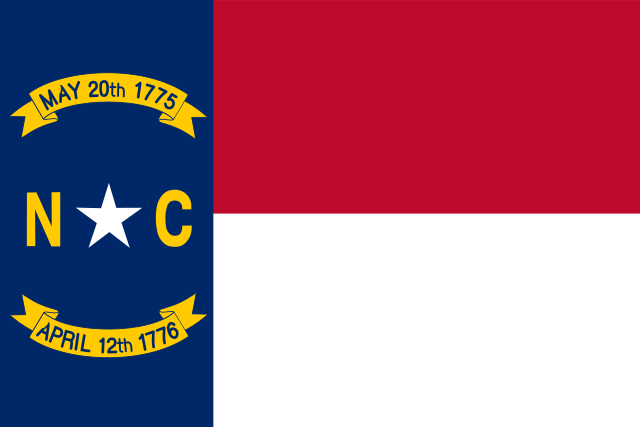 The flag of North Carolina is blue on the left, and then has a red stripe above a white stripe on the right. In the blue is the letter N, a star, and the letter C for the state's initials. Above and below the NC are dates for the declaration of independence. 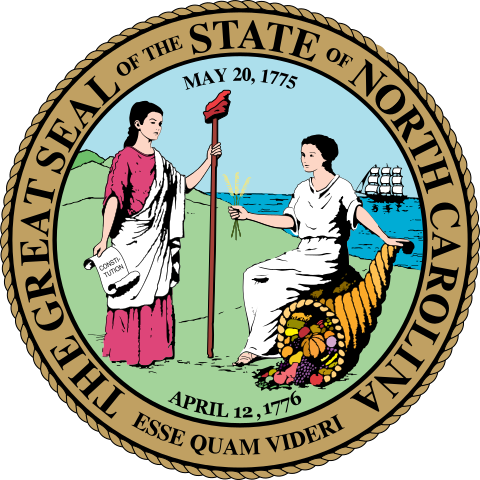 The state seal of North Carolina has lady Liberty and Lady Plenty, and a boat in the background. The first flight of an airplane by the Wright Brothers was in Kitty Hawk North Carolina. 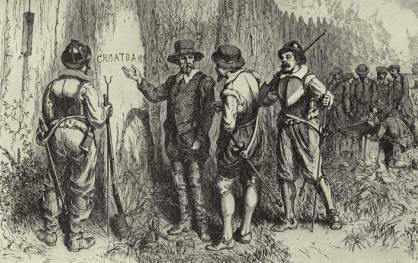 Long ago when people were moving from Europe to the US, the first English colony was called Roanoke. The people that started living on Roanoke had the first baby immigrant from England to be born in the new US, Virginia Dare. When the people left on ships and then came back later to help the colonists, all of the people had disappeared! It is a great mystery and many people have written stories about what they think might have happened. The 11th president of the US was from North Carolina, James K. Polk in 1845. The 17th president of the US was from North Carolina, Andrew Johnson in 1865.